Spring is an exciting time for fishing opportunities in our area. Fish and Wildlife will restart their stocking programs for both the Upper Nantahala River and the Tuckaseege River flowing through Bryson City. These two sections of rivers and all of the National Park Rivers will remain open for fishing though out the spring months. 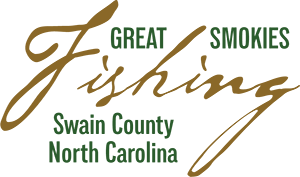 You can visit the North Caroline Wildlife Commission web site to check on the stocking schedule for all of the delayed harvest steams in the area. Remember, delayed harvest streams have catch and release only, single hook artificial regulations until the first Saturday in June. There are hundreds of miles of great trout fishing streams in the Smoky Mountain National Park. These streams are open year round. They are designated single hook artificial only. Some of the best spring fishing can be found at the mouth of the streams coming into Lake Fontana. There are great spring runs of White Bass, Walleye, Small Mouth Bass, Large Mouth Bass and Steel Head that migrate out of lake Fontana into streams like the Tuckaseege River, Little Tennessee River and Nantahala River. 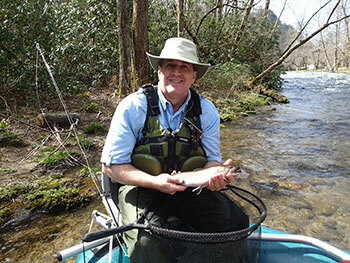 If you are luck enough to have access to a boat, streams like Forney Creek, Hazel Creek and Nolan Creek, all coming out of the Smoky Mountain National Park, will have excellent fishing. These rivers are great places to escape the crowds and enjoy some of the best in beauty and spring fishing experiences that Swain County has to offer. Spring float on the main portion of the Nantahala River. Once fishing season opens on April 1, then all of the hatchery supported streams will provide excellent fishing opportunities as well. There are more places to fish for trout in Swain County than anywhere else in North Carolina. One of the best streams is the main stem of the Nantahala River below the delayed harvest section. This hatchery supported section of the Nantahala is a great place to book a Float Trip with one of the local licensed fishing outfitters for trout. Check with your local fishing shops in Bryson City or Nantahala Gorge for updates on water conditions and recommendations on what fly or lure is working best in a given area. They can point you in the right direction or get you set up with a reputable guide. Remember to check the North Carolina Fishing Regulations before your trip. There are so many different rivers and lakes in the area that fishing regulations vary and are oft times a bit complicated to understand. Good luck and remember that catch and release fishing is the best way to ensure we will always have great fishing. Take a picture and release the bigger fish. They are the breeding stock and will ensure we continue to have excellent fish for years to come.